David Giantomasi says he vigilantly paid his credit-card bills each month. Even if he could only make the minimum payment, he made sure to get all his monthly payments squared away. So he was shocked when the interest rate on his Chase credit card suddenly jumped to 19.99% from 7.99%. When Giantomasi called the card issuer to demand an explanation, he was enraged. He was told that overall turmoil in the credit markets meant higher rates for a number of customers. The proposed rules, which could be implemented as early as yearend, would represent the first time in over 20 years that a government agency has recommended banning certain credit-card industry practices. Regulation has been left largely to the card issuers, and the Fed and other banking regulators tended to stick to forcing card companies to disclose terms and conditions clearly to customers. Under the proposed rules, though, banks would no longer be able to hike up interest rates on existing debt, as Giantomasi experienced. Card companies would have to split required monthly payments evenly between the high- and low-rate balances on a card. (Currently, card companies allocate payments to the lowest interest-rate balance first, which leaves a lot of cardholders unable to make a dent in balances at higher interest rates. That’s a recipe for rapidly accruing interest and a feeling of helplessness about managing debt, say cardholders.) And consumers would get a longer grace period before they’re slammed with penalty fees. Many consumers say it’s about time. The rules were proposed just as the U.S. economy started to tank, when many card holders were falling further behind on their payments at the same time home equity lines of credit were drying up and jobs were disappearing. Regulatory agencies came under fire to act, and Senator Carl Levin (D-Mich.) held hearings this spring to examine card company billing practices. The proposed regulations generated more than 56,000 comments from individuals, banks, credit unions, and industry associations. That’s a record number of submissions, says the Fed, beating the previous record of 45,000 submissions for a proposal that would have let financial firms assume the role of real estate brokers. The Food and Drug Administration Modernization Act (FDAMA) requires that manufacturers track certain devices when the agency orders them to do so. Tracking is intended to facilitate notification and recall in the event a device presents a serious risk to health that requires prompt attention. This revised guidance announces that Thoracic Aortic Aneurysm (TAA) stent grafts have been added to the list of devices subject to medical device tracking requirements. FDA’s guidance documents, including this guidance, do not establish legally enforceable responsibilities. Instead, guidances describe the Agency’s current thinking on a topic and should be viewed only as recommendations, unless specific regulatory or statutory requirements are cited. The use of the word should in Agency guidances means that something is suggested or recommended, but not required. The California legislature is considering a new bill that imposes health data privacy protections above and beyond those already required by HIPAA, alarmed by a recent rash of medical record snooping taking place at UCLA Medical Center. Legislators are responding to unauthorized peeping by employees at a wide range of records, including those of celebrities such as California First Lady Maria Shriver, Britney Spears and Farrah Fawcett. Under a Senate measure, hospitals would be required to draft a plan to protect patient information. Meanwhile, the state would set up a new Office of Health Information Integrity, which would have the power to review plans and violations, as well as assess fines of up to $250,000 against people who violate patient record privacy. A companion bill, for its part, would allow fines of up to $250,000 against providers who breach patient record privacy. More than 8,500 state and federal regulations concern records management in the United States. There are several more voluntary standards that can be adopted. Here is a sampling of some of the more common standards and regulations that concern document and records management. Also known simply as “Sarbanes Oxley” or “SOX,” the Sarbanes-Oxley Act of 2002 was passed in the wake of a number of corporate accounting scandals at companies like Enron and Arthur Andersen, which came to light after the year 2000. Signed on July 30, 2002, the legislation’s goal is to create oversight at publicly traded companies and independent auditors so investors are not fooled by phony profits and revenue. Among the several results of Sarbanes-Oxley is the creation of an oversight board for accounting firms that audit publicly traded companies. It also stresses independence of auditors and financial analysts; addresses corporate responsibility at publicly traded companies; and protects whistleblowers. At no point does the word “software” appear in the text of the Sarbanes-Oxley legislation. But in order to achieve the type of audit trails and records keeping required to be in compliance, most companies will use some type of content or records management software. Section 404 of Sarbanes-Oxley is widely cited in the literature of software companies. It requires each annual report of a publicly traded company to contain an “internal control report”, which states the responsibility of management for establishing and maintaining an adequate internal control structure and procedures for financial reporting; and contains an assessment of the effectiveness of the internal control structure and procedures of the issuer for financial reporting. Section 409 says that companies must disclose information on material changes in the financial condition or operations of the issuer on a rapid and current basis. To read a summary of the entire Sarbanes-Oxley legislation, visit: http://www.aicpa.org/info/sarbanes_oxley_summary.htm. Maligned in some circles for what is perceived to be a pinching of civil liberties, H.R. 3162, better known as the USA Patriot Act, was signed in October of 2001, just over a month after the terrorist attacks of Sept. 11. While much of the press coverage has gone to provisions in the bill that let law enforcement track what books people take from the library and the like, there are real business issues mentioned in the Patriot Act. And once again, businesses will turn to software in order to solve them. The Patriot Act will have the most affect on companies in the financial services sector, which will have to comply with parts of the legislation that concern detecting and preventing money laundering that can be used to finance terrorism. Institutions need an automated process for continuous monitoring of accounts with detection filters and to check account holder names against watch lists and suspicious activity. They also need to track investigations in progress, and clear the names of those who have been investigated. ISO 9000 quality standards are implemented by more than 500,000 organizations in 160 countries. ISO 9000 is an international reference for quality management requirements in business-to-business dealings. The ISO 9000 family examines what an organization does to fulfil the quality requirements of its customers and applicable regulatory requirements, while enhancing customer satisfaction, and achieving continual improvement of its performance in pursuit of these objectives. ISO 9000 is a generic requirement, which means the same standards can be applied to any organization, large or small, whatever its product, even if the product is actually a service, in any sector of activity, and whether it is a business enterprise, a public administration, or a government department. ISO 15489 focuses on the business principles behind records management and how organizations can establish a framework to enable a comprehensive records management programme. ISO 15489 is just a framework and is an optional standard that any organization can adopt. The standard provides a common international language for organizations that record and file material, regardless of the medium or format; the size of the enterprise; the type of organization; or the level of technology used. The Department of Defense (DoD) 5015.2 standard defines the basic requirements based on operational, legislative, and legal needs that must be met by records management application (RMA) products acquired by the Department of Defense (DoD) and its components. It also defines requirements for RMA’s managing classified records. It has become the de facto standard for records management systems used by U.S. government agencies. In addition to Sarbanes-Oxley, SEC and non-government securities organizations have regulations in place that require strict record keeping by brokers, dealers, and financial services organizations. Section 17(a) of the Securities Exchange Act of 1934, Rule 17a-4 of the Exchange Act, NYSE Rule 440, and NASD Rule 3110 require the preservation for three years, and preservation in an accessible place for two years, electronic communications relating to the business of the firm, including interoffice memoranda and communications. That includes e-mail and relevant instant-message correspondence. For more information, see http://www.law.uc.edu/CCL/34ActRls/rule17a-4.html#top. The Health Information Portability and Accountability Act (HIPAA) aims to protect personal information about consumer health records. Congress enacted HIPAA in response to the growing use of the Internet and electronic transactions. HIPAA is a privacy law to protect consumers from having their personal health information exploited by insurance companies, employers, and anyone else who may try to exploit, disclose, or publish their personal health information. FISMA requires government agencies to provide a framework for for enhancing the effectiveness of information security in the federal government. The head of each federal agency must provide security measures commensurate with the risk and magnitude of the harm caused by potential security breaches, such as unauthorized use, access, disclosure, disruption, modification or destruction of information management systems. How often have you thought of buying a car but put those thoughts away for want of basic information and things you need to keep in before applying for a vehicle loan? While there are scores of banks and financial institutions that will help you get that loan there are some finer details that you need to watch out for. 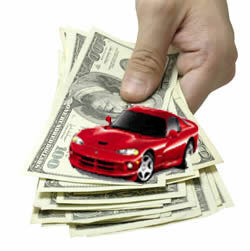 Shopping for auto loan online is a great time saver. You can get almost all information at a click of a mouse and pick the best deal by comparing offers from different sites. The application process is also easier. You must know the basic criteria for applying for a loan. You must be above 18 years of age. Best is if you earn at least Rs 20,000 per month and have your six-month bank statement ready for your lender’s perusal. This will help your lender understand your spending and saving habits better and may help you in getting loan at a cheaper rate of interest. Also needed is a proof of your residence and employment history. Don’t make the mistake of looking for a car before getting a bank’s approval. Get your loan approved first from your lending bank or finance company. Then get a sanction letter from them to know the amount of loan approved. Doing this will save you frustration and disappointment later. This varies from lender to lender, and some don’t even require you to make a down payments. But typically it’s about 10 per cent of the price of the vehicle you want to purchase. Interest rate is not fixed as most people think, but it can surely be negotiated. If you have good negotiating skills you can bargain for a lower interest rate. But some factors are way out of your control such as the state of the economy. If interst rates move up like they are doing now the rate at which you borrow money to finance your vehicle will also go up. Finally, it is always better to ask an authorized dealer or loan official for their advice. They are there to help you. If there is something you don’t understand, ask them NOW or you may face headaches later. India has brought down the number of people living below $1 a day by 2 percentage points to 24.3 per cent in three years up to 2005, as Asia’s third-largest economy accelerated to 7 per cent plus growth in those years, latest data from the World Bank revealed. In absolute numbers, 9.6 million people came out of poverty between 2002 and 2005, the largest reduction between two consecutive surveys released by the World Bank since 1981. If $1.25 per day is taken as a benchmark for defining the poverty line, then 4.7 million came out of poverty in this period. in the last two years is not known. Also, the World Bank now says it has upwardly adjusted the cost of living in developing countries to $1.25 per day against $1 per day. The poverty line of $1.25 is the average poverty line found in the poorest 10-20 countries, the World Bank said in a press statement. The new study suggested the number of people below the poverty line would have increased by 400 million in three years to 1,399.8 million in 2005 (at $1.25 per day), against 1,090.2 million (at $1 per day) in 2002. If similar comparison were adopted for India, the number of people in poverty would have increased by 179.1 million between 2002 and 2005. In percentage terms, it would be 41.6 per cent as on 2005 as against 26.3 per cent in 2002. The difference between India’s own estimate of poverty and the World Bank’s one is because of a difference in how the poverty line is calculated. The World Bank’s calculation is based on the average of the poorest countries, whereas India’s estimate is based on how much money is required for an individual to have ideal intake of daily food and expenditure on shelter and other necessities. If India’s poverty line is translated in Purchasing Power Parity (PPP) terms, it is $ 1.02 per day. “High GDP (Gross Domestic Product) growth in India has reduced poverty. However, to achieve a higher rate of poverty reduction, India will also need to address inequalities in opportunities that impede the poor from participating in the growth process,” the World Bank said. A job interview is a vital step towards finding a job which is in alignment with an individual’s career aspirations. Most people focus on starting early, planning intelligently, and making good use of their broad-based skills, especially those related to research, analysis, and communication in order to choose the right job. However, what are often overlooked are the techniques to overcome the pre-interview stress which can act as a dampener. Here are some tips to ease out any interview related stress and anxiety and put forward a calm and confident image before the recruiter. Often the most common reason for stress is arriving late or just in time for the interview. This aggravates the anxiety levels of most people and impacts their performance. Leave for the interview early and target to reach the venue at least 20 minutes before the schedule, so you can have plenty of time to get lost, get back on track, crawl through traffic jams, fix a flat tyre etc. You’ll want to have a few moments to fill out any necessary forms, compose yourself, and make a quick, last-minute grooming trip to the restroom as well. Practice interview several times with someone before the interview. Encourage them to ask off-the-wall questions. The questions will differ from those in the interview. However the mind games you play, out loud, will prepare you for most questions you may face. Take opportunities to interview for positions even if you are not really interested in the position. The practice experience will prepare you for the interview when you really want the position. Decide at the beginning what is the most important aspect of the job offering that you are aiming at so you have a reason for your focus. Trying to focus on a general wish list like salary, perks, profile, position etc will sometimes dull your vision dull your vision, causing you to become frustrated and confused. You can always modify your direction later. It’s a good idea to exchange pleasantries with peers who are there for the interview. It helps to learn about their professional background and aspirations. You will be surprised to learn that most candidates have similar apprehensions before the interview. Some informal discussions will help you evaluate your competition and also relax your nerves. “I am addicted to coffee and have anywhere between 6�8 cups a day in order to keep myself awake,” says 23-year-old Sujata Krishnan, who works in a call centre. I end up feeling dreadful the next day and this has impacted my performance in interviews in the past”. Throw out the cola & caffeine from your routine at least a couple of days before the interview and replace it with fruits. Else, go for the champion drink — water. It will flush out all toxins and keep you charged throughout the day. What and when you eat can make a big difference to the way you cope with stress. Don’t skip meals — particularly breakfast — or rush to finish them. Try to maintain a well-balanced, healthy diet. It’s a good idea to carry some fruits that you can munch on your way to the interview site. You will feel less nervous and anxious of you have applied for several jobs. This will enable you to relax during the interview and not treat it like an ‘end of life’ event. Start enjoying your interviews. Look forward to going to interviews; look forward to speaking; getting to know people and learning more about professional interviews. Every interview you go to should be a learning experience. It is no big deal if you don’t get a few jobs as long as you are learning from the experience. You are currently browsing the Free to share your thoughts blog archives for August, 2008.